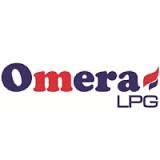 Omera Petroleum Limited (OPL), a subsidiary of MJL Bangladesh Limited is a safety, health & environment compliant organization incorporated as a joint venture company in the downstream Petroleum Industry of Bangladesh in partnership with BB Energy (Asia) Pvt. Ltd & Nederlandse Financierings Maatschappij voor Ontwikkelings landen N.V. (`FMO`). This company has set up a state-of-the-art LPG Import, Storage, Bottling and Distribution Terminals in different locations of the Country. The Main Terminal is located at Mongla and three Satellite Stations are located at Bogra (Sherpur), Narsingdi (Ghorashal) and Chittagong (Mirsarai) respectively.